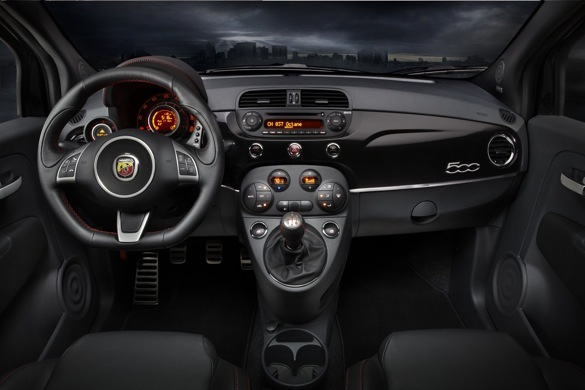 As Karl Abarth’s tuned Fiats grew in popularity during the 1960’s, fans began to refer to them as “small but wicked.” That same design philosophy carries over to the new-to-the-U.S. Fiat 500 Abarth, which will soon be making its way to a Fiat dealer (and autocross course) near you. 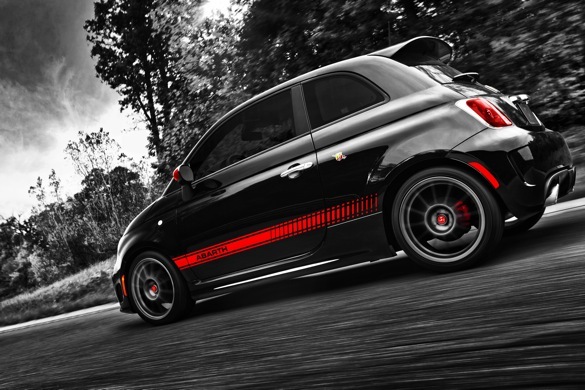 Unlike other front drive “sporty” cars, the Fiat 500 Abarth is actually designed with track days in mind, and it’s got more than 2 million development miles under its belt. The Abarth’s suspension is lower and stiffer than that of the Fiat 500, and the car benefits from larger brakes and wider tires as well. 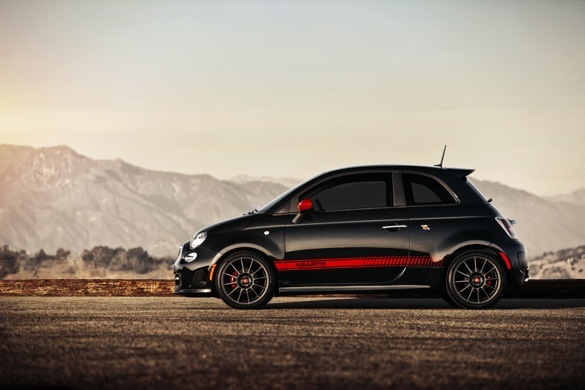 Up front, the Abarth’s springs are 40 percent stiffer than those used in the Fiat 500, and the car rides 15mm lower. Out back, the springs are 20 percent stiffer and the ride height is dropped the same 15mm. An Abarth-spec rear stabilizer bar ensures that understeer is kept in check, and additional negative camber up front maximizes lateral grip. 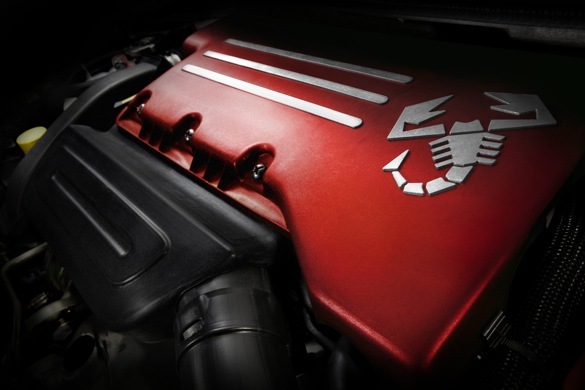 While the Abarth’s differential isn’t a true “limited slip” model, traction is handled via the electronic stability control system, similar to what VW does with its GTI. An included “Sport” traction control mode allows a higher degree of wheel slip and adjusts traction based on factors such as speed and lateral acceleration. 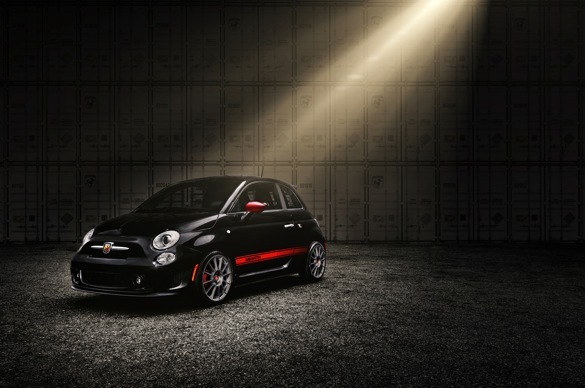 We can’t wait to drive the new Fiat 500 Abarth, and we’re sure it’s going to give the Mini Cooper a run for the title of “best handling FWD car.” We understand the Fiat 500 Abarth, and we hope that others in the U.S. get it, too. Fiat isn’t doing well with the 500 on these shores, and the Abarth could be just the right image car at just the right time.